9:00 AM Jan. 4th, 2019 Monique Fuller Happy New Year! 9:00 AM Sep. 7th, 2018 Monique Fuller !Las Sandinistas! 9:00 AM Aug. 3rd, 2018 Gord Walker Refugees crossing our borders: illegal or irregular? 9:05 AM Oct. 13th, 2017 Gord Walker MPs visit children's health & pre-school education programs in Ethiopia. 9:05 AM Aug. 18th, 2017 Gord Walker Food Banks are stepping up for the Poor: governments should too. 9:00 AM Jun. 2nd, 2017 Qais Ghanem Interview with University of Ottawa Dr. Saeid Mirzaei Yengejeh about his work with the UN. 9:00 AM May. 12th, 2017 Gord Walker A Basic Income for Ontario ? 9:00 AM Apr. 21st, 2017 Qais Ghanem Interview with Roger Clark about the extradition to France of Carleton Prof. Hassan Diab for involvement in a 1980 bombing near a synagogue on the Rue Copernic in Paris. 9:00 AM Dec. 9th, 2016 Monique Fuller Interview with Steve Beauchesne from Beau's All Natural Brewery about the Rwandan Brewery Project. 9:00 AM Jun. 24th, 2016 Qais Ghanem Interview with engineer Eric Schiller about his work in renewable energy. 9:00 AM Apr. 22nd, 2016 Monique Fuller Happy Earth Day! Interview with Robb Barnes from Ecology Ottawa about the Tar Free 613 campaign. 9:00 AM Apr. 1st, 2016 Monique Fuller Interview with Rob Boyd, director of Oasis at SandyHill Community Health Centre, about the implementation of a safe injection site in Ottawa. 9:00 AM Mar. 18th, 2016 gord walker/Monique Fuller Interview with Acorn Ottawa representative. 9:00 AM Feb. 26th, 2016 Monique Fuller Interview with Poet, Storyteller and Beat Boxer Eddy Da Original One. 9:00 AM Jan. 15th, 2016 Qais Ghanems Interview with authour and Ottawa University Professor Dr. Rouba Al-Fattal about responding to the Syrian refugee crisis and the film On the Bride's Side. 9:00 AM Jan. 8th, 2016 Qais Ghanem Interview with conflict resolution specialist Maurie Royer about his various experiences working with the police and in the community. 9:00 AM Jan. 1st, 2016 Monique Fuller Interview with Chelby Daigle Refugee 613 steering committee member and Muslim Link website Editor about the experience of refugees. 9:00 AM Dec. 25th, 2015 Monique Fuller Merry Christmas! 9:00 AM Dec. 11th, 2015 Monique Fuller Interview with Lenore Fahrig from 350 Ottawa about climate change and divesting. 9:00 AM Aug. 21st, 2015 Qais Ghanems Interview with Dave Rushton about upcoming Federal election. 9:00 AM Jul. 24th, 2015 Monique Fuller Interview with local filmmaker Rhiana Chinapen about her documentary on capoeira and interview with Manal Nemr about the August 1 Happiness Habits 613 Challenge. 9:00 AM Jun. 26th, 2015 Qais Ghanems Interview with Halcian Joseph about her activism using art in Trinidad in the past 4 years. 9:00 AM Jun. 19th, 2015 Gord Walker Podcast - To defeat austerity, we need solidarity. Scott Neigh interviews Kevin Skerrett. 9:00 AM Jun. 5th, 2015 Qais Ghanems Interview with Denise Chong and Ian Shaw regarding the book festival Prose in the Park. 9:00 AM May. 15th, 2015 Monique Fuller Interview with director, editor and producer Michèle Hozer about her documentary film Sugar Coated. 9:00 AM May. 8th, 2015 Qais Ghanems Interview with Imam Mohamad Jebara about his cycling campaign to raise organ donation awareness. 9:05 AM Mar. 20th, 2015 Gord Walker Chill on public criticism of government ? 9:00 AM Mar. 13th, 2015 Monique Fuller Interview with curator Malika Walsh and artist Ojo Agi about the exhibition Her stories. 9:00 AM Feb. 20th, 2015 Monique Fuller Interview with Orlando von Einsiedel about his 2015 Oscar-nonimated documentary Virunga. 9:00 AM Feb. 13th, 2015 Monique Interview with Emily Olding and Di Golding from VDay Ottawa about their upcoming production Feb 20-22. 9:00 AM Jan. 30th, 2015 Qais Ghanems Interview with Dave Ruston and Sue Smee about upcoming 2015 elections. 9:05 AM Jan. 23rd, 2015 Monique Fuller,Gord Walker interview with Roy Culpeper about the significance of changes being made to Canada's foreign aid program. 9:00 AM Jan. 9th, 2015 Monique Fuller Interview with film producer Damon D'Oliveira about his latest project Book of Negros. 9:00 AM Dec. 19th, 2014 Monique Fuller Interview with Foodie Prints blogger and authour Jennifer Lim. 9:00 AM Dec. 5th, 2014 Qais Ghanem Interview with authour John Ralston Saul about his new book The Comeback. 9:00 AM Nov. 28th, 2014 Monique Fuller Interview with director Ravi Kumar and writer/​actor David Brooks about their film Bhopal: A Prayer for Rain. 9:00 AM Nov. 7th, 2014 Qais Ghanem Interview with Kathy Neufeld from 10,000 Villages. 9:00 AM Oct. 31st, 2014 Gord Walker Interview with Navin Parekh about Canugan. Canugan is a non-profit that helps disabled Ugandans through empowerment. 9:00 AM Oct. 24th, 2014 Monique Fuller Interview with American director John Fiege about his film Above All Else. 9:00 AM Oct. 17th, 2014 Gord Walker Interview with Peter Flegel, Director of Programs and Communications, from the The Michaëlle Jean Foundation about the upcoming Power of the Arts national Forum. 9:00 AM Oct. 10th, 2014 Qais Ghanems Qais Ghanems interviews Paul Maillet from Civilian Peace Service Canada. 9:00 AM Sep. 26th, 2014 Monique Fuller Interview with writer and co-host Dr. Qais Ghanem about his work as an activist and writer. 9:00 AM Sep. 12th, 2014 Qais Ghanem Interviews with Bill Shields from West End Well Co-op and Dr. Bill Bhaneja from the Ottawa Peace Festival. 9:00 AM Sep. 5th, 2014 Monique Fuller Interview with artist and educator Jaime Koebel about Indigenous Walks. 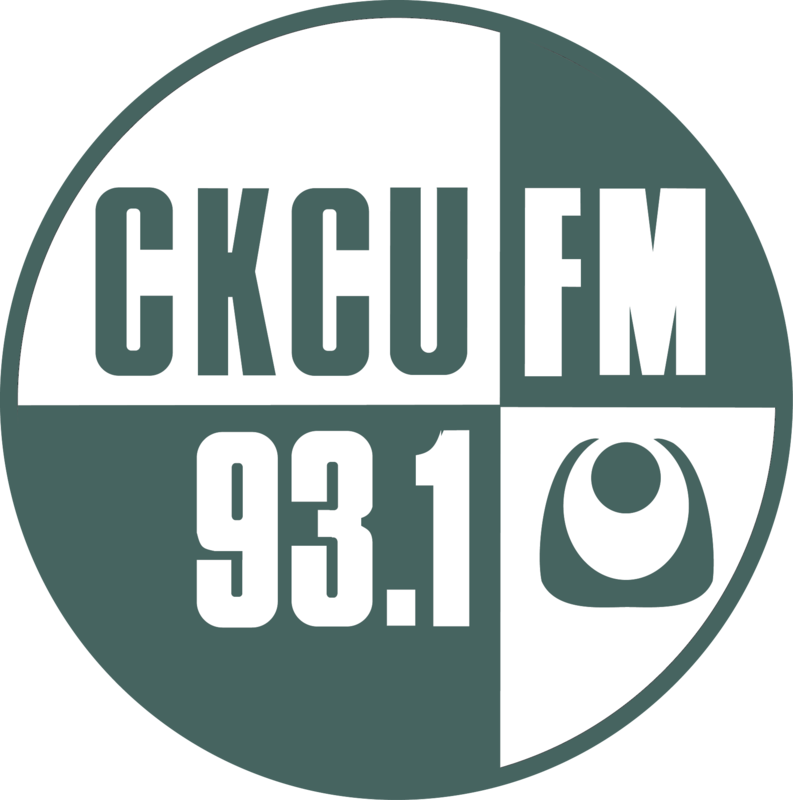 9:00 AM Aug. 22nd, 2014 Monique Fuller Interview with local comic book writer Cedrick Lui about his first-ever comic book, Son of Man, about a man suffering from paranoid schizophrenia. 9:00 AM Aug. 15th, 2014 Qais Ghanem Qais Ghanem interviews Walid Eldin and Omer Attef about the International Conference on Water, Informatics, Sustainability and Environment. 9:00 AM Aug. 8th, 2014 Gord Walker Dr. Bill Cherniak from Bridges to Health (group of medical and dental professionals from Toronto) discusses providing healthcare, with a lasting impact, for underserved rural communities of Uganda. 9:00 AM Aug. 1st, 2014 Monique Fuller SAW Video programmer Christopher Rhodes discusses 2014 programming, VideoCity and Sound/​Tracks. 9:00 AM Jul. 25th, 2014 Monique Fuller REPEAT: Interview with Brenda Rooney of Rooney Productions about their latest film, the Precautionary Principle: The Nicole Bruinsma Story. 9:00 AM Jun. 27th, 2014 Qais Ghanem Qais Ghanem interviews Judith Matheson about her work for peace, democracy and the Chaudière Falls. 9:00 AM Jun. 13th, 2014 Gord Walker Interview with BluePrintForLife founder Stephen Leafloor. BluePrintForLife offers culturally appropriate programs designed for First Nations and Inuit youth that are founded on HipHop, rooted in traditional culture, and centered on community needs. 9:00 AM Jun. 6th, 2014 Gord Walker Interview with vaccine expert Dr. Mayunga about the GAVI Alliance and its impact in Tanzania. 9:00 AM May. 30th, 2014 Qais Ghanem Interview Julien Lamarche about his role as Chair of the Ottawa Chapter of Fair Vote Canada. 9:00 AM May. 23rd, 2014 Monique Fuller Interview with Soup Ottawa co-founder Jared Klassen. Soup Ottawa is a local micro-grant dinner event. The next event is on May 29th. 9:00 AM May. 16th, 2014 Monique Fuller Interview Jennifer Chang from the Ottawa Farmers’ Market about their plans for Food Revolution Day at Brewer Park on May 18 and Gord Walker and Jim Nuyens about what its like to eat on $1.75 a day as part of the Live Below the Line campaign. 9:00 AM May. 2nd, 2014 Monique Fuller Interview with Sandra MacPherson and Jonathan Rausseo from Jane’s Walk Ottawa. 9:00 AM Apr. 18th, 2014 Monique Fuller Interview with Brenda Rooney of Rooney Productions about their latest film, the Precautionary Principle: The Nicole Bruinsma Story. 9:00 AM Apr. 4th, 2014 Gord Walker Interview with Dave Van Kesteren, Federal MP for Chatham-Kent-Essex about his February trip with two other MPs to Tanzania to see the impacts of Canadian supported maternal & child health, TB and nutrition programs. 9:00 AM Mar. 28th, 2014 Monique Fuller Interview with documentary playwright and artisitc director of Porte Parole, Annabel Soutar. Her play Seeds is on at the NAC until April 12. 9:00 AM Mar. 14th, 2014 Monique Fuller Interview with First Nations writer and media artist Vera Wabegijig. 9:00 AM Mar. 7th, 2014 Gord Walker Interview with Katleen Felix of Montreal, a consultant to Fonkoze, Haiti's largest Microfinance organization about a successful new program to bring a sustainable livelihood to Haiti's " ultra-poor". 9:00 AM Jan. 17th, 2014 Qais Ghanem Inteview with James O'Grady founder of Unpublished Ottawa. 9:00 AM Dec. 6th, 2013 Monique Fuller Interview with screenwriter Shannon Masters about her script for the film Empire of Dirt. 9:05 AM Nov. 22nd, 2013 Gord Walker Gord Walker speaks with American social entrepreneur Sam Daley-Harris about citizen advocacy and catalyzing thousands of citizens to create social change. 9:00 AM Oct. 11th, 2013 Monique Fuller Executive Director of Oxfam Canada, Robert Fox, discusses Land grabbing. 9:00 AM Jul. 19th, 2013 Qais Ghanem Qais Ghanem interviews Myka Burke about her work with the German Canadian Community in Ottawa. 9:00 AM Aug. 31st, 2012 G.Walker Gerry Schmitz interviews filmmaker Mads Brugger about "The Ambassador"